Today it's my turn to share a project at the Blog for Unique Laser Designs. 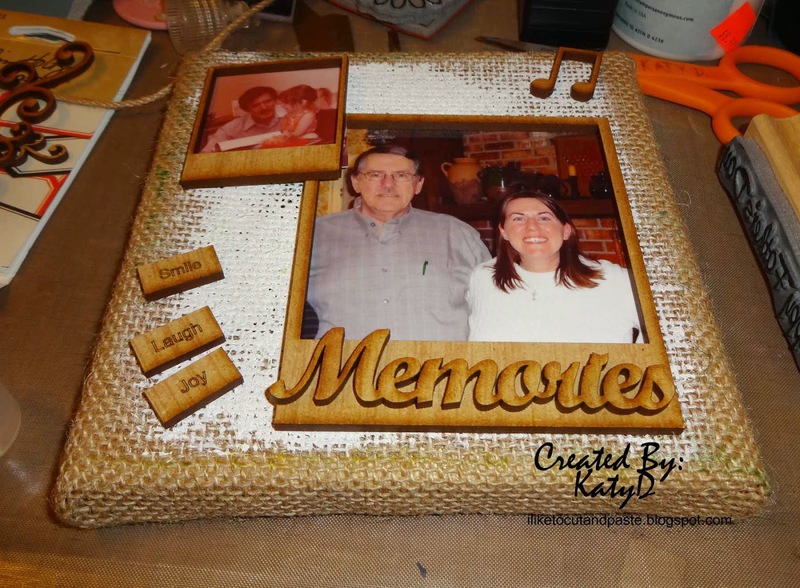 I created a burlap canvas using Unique Laser Designs wood embellishments. Here was my thought process. I had put gesso in the background but I wasn't sure what colors I would use. 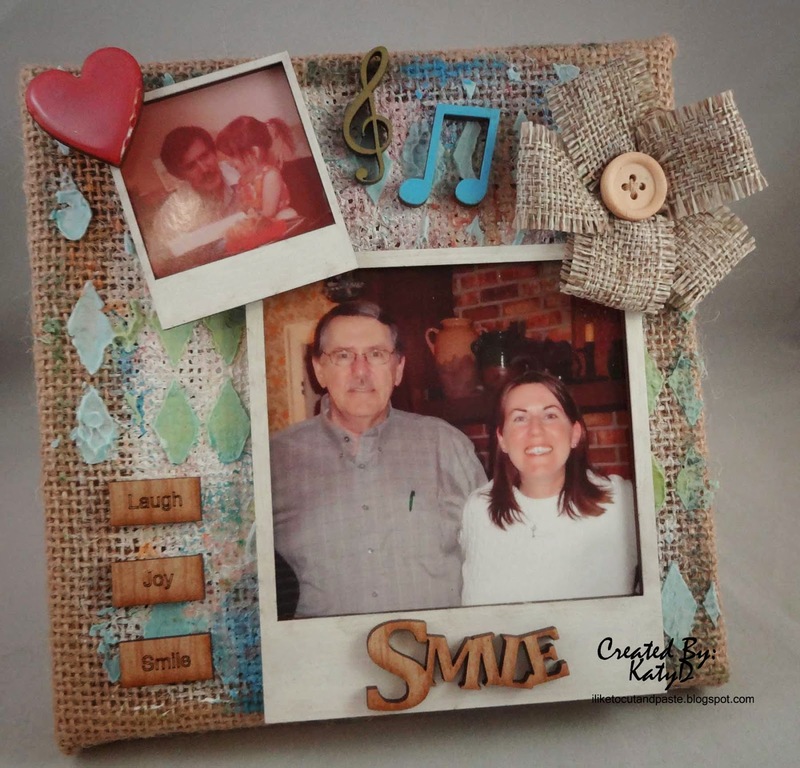 I used Tim Holtz paints in the background. This is my first burlap frame and for me stamps didn't work so well on it. So I used paints and light modeling paste and gelatos with the harlequin stencil. Here are some bricks from the brick stencil that Unique Laser Designs has. You get the stencil AND the bricks. Super cool! Some bricks are blank but some have words on them. I painted the polaroid frames. I just used picket fence by TH on those. Since I wasn't looking for a stark white look, I didn't use gesso first on those. I used salty ocean and peeled paint for the music notes. On the heart is barn door red and I used glossy accents on it. The word smile I left in its natural wood state. The flower is from Maya Road. Here's another picture of my canvas. I love having the then and now photo. 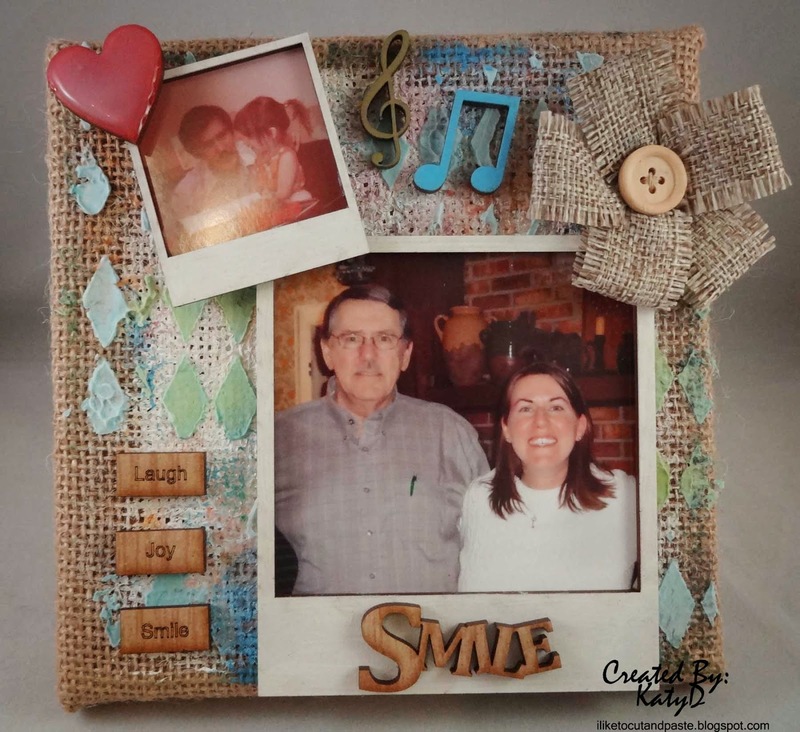 I am submitting this to the Simon Says Stamp Monday Challenge: Paint I used Tim Holtz paints on the background and on the heart, musical notes, and frames. Unique Laser Designs is also have a Design Team Call! Come check out the details here! A stunning canvas with beautiful textures, dimension and precious photos. 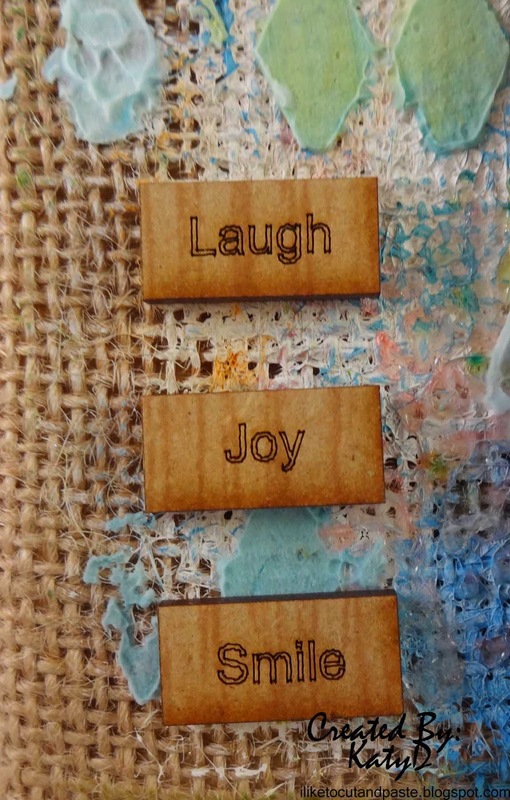 oh wow these are amazing..
Love all the fun elements on your canvas! P/s: Congrats on winning at LESSology. Hope you get your RAK soon!